I doubt the chart is a huge surprise for anyone following the industry, but it still does make for an interesting graphic. Despite all the advertising money that Vonage can throw out there, Comcast and the other cable providers have the inherent advantage that they can easily offer powerful "triple-play bundles" of cable TV, Internet access and phone service. Comcast is no longer my provider (Time-Warner services Keene, NH, where I live. ), but when I lived in Burlington, VT, we had Comcast for Internet access and Verizon for phone (and we didn't have anyone for TV, since we don't watch it). The offers that Comcast kept sending us, though, encouraging us to switch, were quite compelling. The amount I paid for Internet access would have been lower if I had either phone or TV with Comcast, and even lower if I had all three. If we actually watched TV and therefore wanted cable TV, the economics of the "triple-play" would be very hard to beat... so it's no surprise at all to me to see this chart. I would expect we'll continue to see the growth of one and the continued stagnation of the other. Define "VoIP" - and then we can debate whether it is dead! The underlying infrastructure, a.k.a. the "plumbing" - the mechanisms, protocols, etc. that are used for the transport of voice/video/etc. 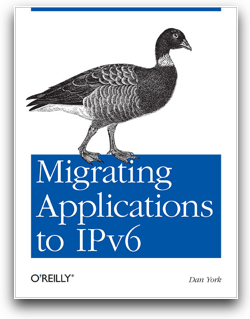 over IP. Things like SIP, H.323, RTP, various codecs, etc. Consumer "PSTN line replacement" services - Offerings like those of Vonage and so many others where the basic idea is that you can get cheaper telephone charges by going over the Internet and getting rid of your local landline. 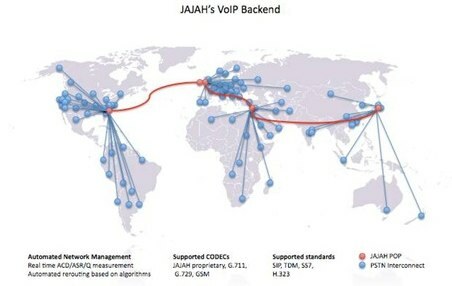 Also called "pure play" VoIP by some or "VoIP arbitrage" by others. Computer-to-computer/softphone offerings, often coming from the IM space - Skype sets the bar here, but there's a host of other players as well, including Gizmo, GoogleTalk, FWD, and many others. Some of these came from existing Instant Messaging services that simply added voice. Enterprise IP-PBX/"Unified Communications" solutions - Communications systems used by enterprises, large and small - what has traditionally been called the "PBX" but that term is increasingly meaningless given the range of options now being provided. The *entire* vision of rich communication over IP - The whole picture... everything over IP... voice, video, IM, presence, file/data sharing... the whole rich communication experience. The point is that we need to be a bit more precise in what we call "VoIP" before we can argue about whether it is alive or not. Enterprise IP-PBX/"Unified Communications" solutions - Very alive - Basically every vendor supplying communications systems to enterprises are now doing so over IP. No one is selling traditional TDM PBXs anymore. Players in this space include the traditional telephony players like Nortel, Avaya, Siemens, Mitel, Alcatel-Lucent, along with newer entrants like the dominant Cisco, ShoreTel, Digium/Asterisk and then even newer entrants like Microsoft OCS and IBM Sametime. The *entire* vision of rich communication over IP - VERY alive! - In fact, I'd say that the next few years will be one of the most fascinating years in this space. We're at this amazing intersection of insane amounts of local bandwidth and computing power, increasingly ubiquitous powerful mobile devices, and incredible power out "in the cloud". All around us we are building the massive IP communications interconnect. It's happening. At a glacial pace in some areas and at a crazy pace in others. We're layering on applications and services. We're making them available through simple APIs and mashups. We're all collectively doing some pretty amazing things out there. It's a great time to be in this space! So how do you define VoIP? If you think of "VoIP" as my #2, the "cheap telephony consumer services", then sure, if you don't consider the cable companies then than sector isn't doing too well. If you define VoIP as one of the other definitions here, well, then in my view it is very much alive. What do you think? How do you define "VoIP"? No, I will NOT cut the cord. Around noon today my landline in Keene should be installed by Fairpoint Communications (who recently bought all of Verizon's landline business in Maine, NH and Vermont). FAX - Unbelievably to me, perhaps the primary reason for keeping a landline is an old archaic technology that I absolutely can't stand... fax. This was brought home to me during the process of closing on the purchase of our Keene home and the sale of our Burlington home. As much as we may hate it, there are still some transactions that require fax. There were documents that had to be faxed to the bank. Documents that had to be faxed to lawyers. Documents that had to be faxed to real estate agents. To contractors. Because we still haven't come up with an agreed upon "digital signature", we as a society rely on good old hand-written signatures. Now in some cases I was able to scan in those documents and email them off. But not everyone would accept those documents by email. Some of the folks I had to interact with needed them by fax. There were also times when fax was admittedly faster than scanning in the doc and attaching it to an email message (and perhaps I need a better scanning solution). Just put the pages in the document feeder, punch in the number and hit send. 911 - As was mentioned in the comments to my original post, "guaranteed" access to 911 is certainly a consideration. Not as much for my wife and I as for our daughter or visitors/guests. My wife and I can pick up our cell phones and dial 911. But if something were ever to happen to one of us, I want our daughter, or anyone else visiting us, to be able to simply pick up a phone and dial 911 and have the emergency services come. DSL - My choices for Internet access in Keene basically come down to Time Warner Cable or DSL. Since I've been using them since the early 1990's back in the dialup / uucp ages, I'm going to be going back to using local ISP MV Communications (who is even now still handling all my personal email) for DSL access. The thing is that getting DSL is easier with a landline. The MV folks said they can do a "standalone" install without an actual phone line that I'm paying for (as I understand it, they would basically have the link they need installed) and if the reasons above didn't enter the picture I'd probably pursue it. The Cloud isn't quite ready - After writing my last post, I spent a good chunk of time trying to figure out how I could get this to work. How could I build my "abstraction layer"? Unfortunately, as I mentioned in my last post, the only service I could find today that gets you most of the way there is GrandCentral, but it still has problems. For instance, I have this perhaps archaic desire to have an area code 603 phone number and GC doesn't have any. I also don't want to have to press "1" to accept a call on a given phone. I just want to answer. So it seems like I would have to build my own. Now the pieces are certainly there. I can get phone numbers from any number of SIP providers (although perhaps not my desired 603). I can get call-in numbers for services like Skype or Yahoo (or AIM or MSN or Gizmo). Heck, I can build much of the abstraction layer using Voxeo's app platform (and I probably will as an experiment). Write some CCXML scripts and away we go. Now maybe there are other services out there that I don't know about (feel free to pitch me in the comments if you offer one), but for the moment I think I'll let the cloud evolve a bit more. We'll see... maybe in six months or a year there will be better options out there. So that's the scoop. For the moment, I've got a landline. We're paying the extremely basic rate plan (where if I make any long distance calls on it they are at 12 cents a minute!) and we'll see how it goes. Do I cut the landline cord and move my new home phone number into the cloud? In our new home, do I get a land line? Or do I move our home phone number into "the cloud"? We're closing on our home in Keene, NH, next Thursday and as we get set with the utilities that is one of the key questions on my mind. Do I actually "cut the cord" and NOT sign up for a land line with Verizon/Fairpoint? On one level, we don't need it. My wife and I both have our cell phones. Our daughter is six and isn't yet at the age to make phone calls. I work in the world of voice-over-IP and can certainly get a solution there. Why should we get a land line? 911 - UPDATE: As PhoneBoy reminded me in a comment, the overarching reason for having a landline is 911! A landline is the only guaranteed way to dial 911 and have emergency services arrive at your house. Precisely because it is tied to your geographical location it does indeed provide this critical function! SECURITY/AVAILABILITY - Even when the power is out, your land line still works. VoIP solutions are tied to your Internet connection - which requires power. Okay... but how often does your power really go out? Or... how often does the power go out and your cell phones aren't available? NO BATTERIES/CHARGING - Similar to the above, landlines (at least, the wired landline phones) don't need batteries and are always available. Cell phones need recharging. LOCAL DIRECTORY LISTING - Your landline is listed in your local phone book. It's in the "411" directory. If people in your community want to find your number, they can dial 411 or look in the local phone book. With cell phones or VoIP, you aren't in those directories. LOCAL PHONE NUMBER - Your landline is tied directly into your local exchange and so you have a phone number with an prefix that is "known" in your local community. Neighbors will "expect" that your phone number has one of the local prefixes. With cell phones or VoIP, your number may be somewhere else (and even have a different area code). However, in this era of "10-digit dialing" here in the US, and even more so with people simply programming numbers into their cell phone directories, does having a local number even matter? LOCAL DIALING CHARGES - One point of having a local phone number is that others in your neighborhood (maybe only a few) may still have dialing plans from Verizon/Fairpoint that cost more if you dial outside your "local" area and so it may cost more to call you. However, in this era of "unlimited calling plans" these local charges are pretty much nonexistent for the vast majority of users. COMMON IDENTITY - Until recent years, it's been the norm that a family has had one number that was their identity. "Oh, yes, you can reach the Yorks at 660-9675." There was one number that would reach your household. Today in the era of ubiquitous cell phones, this concept is going away. It's not "you can reach the Yorks" but rather "you can reach Dan York at.... " and "you can reach Lori York at..." It's not "our phone is ringing"... it is "your phone is ringing". EXTRA COST - FOR WHAT? 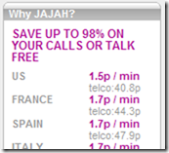 - Why should I pay my local carrier for a phone I almost never use? I simply don't call as many people any more, even for business, and very often make those calls on my cell phone. Who do I call on my home phone right now? That's about it... so outside of the people in our community (like the parents) who might look up our number, most other folks get our number from us. So they would use whatever number we have. I'm already paying for my cell phone - why should I pay for another phone that I seldom use? LACK OF MOBILITY - The landline is by its nature locked to our house. If a call comes in and I'm outside, I have to run to get the phone - or carry a wireless handset. But if I already have my cell phone with me, am I then carrying two handsets? And if I'm traveling, I can't get the phone calls to my home number (unless I've forwarded it). Those are really the key factors. My cell phone is almost always with me. Now currently at home I leave my cell phone in my office at night, so if a call came in while I was sleeping I wouldn't easily hear it. But with one change of habit I could simply bring it into the bedroom and have it there to receive calls. So do we need a home landline? Perhaps of all the advantages I outlined above, the one of most interest to me is the "common identity". I like having a single number that family and friends can call and reach either my wife or I (or, we know will soon be the case, our daughter). If I cut the cord and drop the landline, can I maintain that identity? Push the phone number up into "the cloud". In fact, I can phase this in and add/remove numbers as I evolve services. Start out with my our current cell phones. Change that as we get new cell phones. Add the VoIP handsets when I set something up. Remove them if I change the system around. I have incredible flexibility if I move the number up into the cloud. AVAILABILITY - The PSTN has been around 100 years now and the folks who run it have a pretty good clue about how to keep it running. Even as our landlines pass from the age-old world of Bell (now in Verizon) to a new company, Fairpoint, it's still all in the world of telco solidity. On the other hand, the cloud has a certain amount of inherent fragility. Networks break. Computers fail. Routers get clogged up. Packets get dropped. DO I TRUST THE NEW "2.0" COMPANIES TO GET MY PHONE CALLS TO ME? TRUST - Do I trust these new companies with my data? The telcos have all sorts of legislation regulating what they can do with my data... both my identity (address, phone numbers, etc.) data and also my call detail records. The new companies really have no such limitations, do they? LOCAL NUMBER PORTABILITY - With the PSTN and the telcos, I do have a degree of portability of my phone number. I can move my telco-assigned phone number to another service (but not always back). But it's not at all clear to me that I have that with the 2.0 companies. If I have a number with GrandCentral, can I later move it Vonage (or vice versa) or to SkypeIn or to Gizmo or somewhere else? From what I've seen, that's not likely to be an option (you currently can't move a GC number). I don't like lock-in. I want to be able to move to another provider if I don't like the current one. I want to be able to take my number with me! It's part of my "identity". I want to control it. EASE OF USE - For all its faults, the PSTN has one thing going for it - it's insanely easy to use. Pick up the phone. Talk. No buttons to press (with typical wired phones). Cell phones have certainly added complexity, but we do seem to be doing okay with that. Adding a cloud-based abstraction layer has the potential to add more complexity. Take my phone out of my belt holster (or potentially find the phone if it's not on me). Press the green "talk" button to accept the incoming call. Listen to know if this is someone calling me directly or a call coming in from GrandCentral. Now, GrandCentral requires this "press 1" stage presumably so that they can hold on to the call and ultimately route it to messaging, but it's an annoying step and one that has caused numerous GC calls to go to voicemail by the time I find the phone, figure out it is a GC call and then press 1. Now in fairness maybe there's a way in GrandCentral to configure it differently, but I couldn't find it. I just want to accept the call on the end device of my choice and as soon as I "accept" the call on that device - whether it's picking up a handset or pressing the green button - I want to start talking to the caller. MESSAGING - So if you can ring a whole bunch of phones on different services, where do your voice messages go if you don't answer the phone? Today we have a home "answering machine" where we get all our messages. We walk into our kitchen, look at the machine, see how many messages there are... and start listening. When we first moved to VT in 2005 we tried the Verizon voice messaging service that effectively moves messaging into their cloud. You picked up your landline and if you heard a quick set of tones you knew you had messages. It was nice, in a way, that if you were on the phone and someone else called they would automagically go to voicemail. The thing is... we usually forgot to check for messages. Especially after we were on a call with someone. It is not intuitive to hang up a call and then immediately pick up the phone again to see if you have messages. I think you do need some kind of message waiting indicator. That's largely why we dropped the Verizon central voicemail and went back to a home answering machine. When we get a message there's a blinking light (in fact, it blinks on all our wireless handsets). So how does this translate into the "2.0" world? Going back to GrandCentral, because they retain control of the call, they can route it to your voicemail box there at GC and then send you an email saying you have voicemail with a link back to the message. With my Blackberry 8830, this works out rather well because I just click the link in the email message, confirm that I want to "Open" the link and... ta da... the audio file is downloaded and played on the 8830's speakerphone. (Paying Verizon for the data download, naturally.) It works out well because I get the message in several places (it actually goes to a Gmail account that is then pulled down to my MacBook and also sent to my Blackberry, so I can read it wherever). Is an email enough of a message waiting indicator? I don't know. Can I configure it to send the email to both my wife and I? (Sure, if not directly through GC then through setting up an alias somewhere.) If I set up some voip phones at home could I somehow configure them with an MWI? I don't know. TRANSFERS - In the world of the landline, a "transfer" to someone else involves handing someone a phone or having them pick up another handset. With an abstraction layer, you are answering on different devices on different systems. Obviously you can still physically pass the phone to someone. I remember hearing of a service that let you press a number and essentially park the number and pick it up on one of the other devices in your account... but I can't remember what that service was (GrandCentral does not seem to list this as a feature if it was them). I don't know that I'd realistically ever need this feature, but it's interesting to think about. 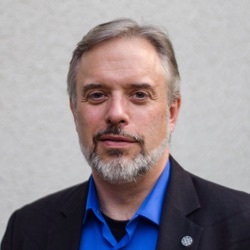 COST - In end, what's a cloud-based solution going to cost? Today, the cost can be free (GrandCentral), $35-ish per year (Skype or Gizmo call-in number, which could be redirected to other phones), or $25/month (Vonage and friends). Plus, naturally, the cost to accept and make calls on the different devices. But we'll already have cell phones with essentially unlimited calling (at least, for the amount of calling we do). Will the cost stay this low? I don't know. Are these challenges surmountable? Can I truly "cut the cord", not install a landline and push my home phone number out into the cloud? I don't know yet. It seems like an interesting experiment to at least try (I can always get a landline installed later). I like the idea of building an "abstraction layer" in the cloud that lets me control the devices associated with my phone number. I still get concerned about the challenges #1 and #2 that I outlined. Can I trust companies like GrandCentral to always get my phone calls to me? Can I trust that they will be around for some time? What do you think? Should I do it? Or should I get a landline? Or should I just stick with multiple cell phones and forget about the "common number" concept? In the end, I look forward to the day when we're done building the IP interconnect and we can purchase phone numbers just as we can domain names today. Why shouldn't I be able to do so? I can go to any of a zillion registrars and spend $10/year for a domain name that can point anywhere. I can move it between registrars. I can change where it points. I remain in control of that domain name. Why shouldn't I be able to that for a phone number? Fairpoint Communications bought Verizon's land line business up here in northern New England. P.S. And yes, I could do all of this running Asterisk or something like that on a server in my home network - but I don't want to do system administration! I don't want to set up a server. I don't want to maintain and upgrade a server. I don't want to deal with security issues on a server. I don't want to have to deal with connectivity issues to that server. I just don't want to deal with servers, period! I'll pay, if I need to, to make those sysadmin/security/reliability/availability problems someone else's problems! Does accepting SIP connections at your SIP proxy constitute an "API"? Does providing SIP termination services to the PSTN constitute an "API"? Those were the questions I found myself asking after AOL announced yesterday their "Open Voice API" (also see CNET article). Since I work with voice application platforms, I'm always interested in new voice APIs and naturally had to check it out. I have to admit it took some time to figure out what the "Open Voice Program" really is, even after reading the program page and the accompanying blog post. Largely I think the issue was that I was looking for something more. So here's what is going on. As part of their "AOL Voice Services", AOL has a service called "AIM Call Out". This allows a user of AOL Instant Messenger (AIM) to make outbound calls from their AIM client to the regular phone numbers on the PSTN for competitive rates (under 2 cents a minute here in the US). 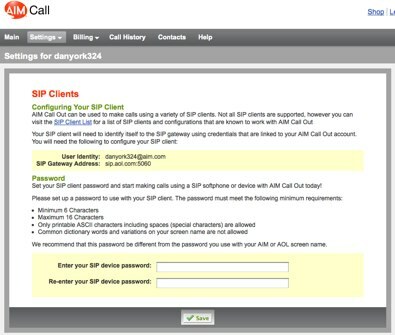 The SIP phone connects to AOL's SIP gateway, logs in with your username and SIP password and makes the outbound call. You now do not have to be at your PC and can make calls from another device that may be more convenient (like your dual-mode phone or a WiFi SIP handset). In fact, you don't need to be logged into AIM or have the AIM client running anywhere. The SIP device makes calls completely independently. 1. Go to the AIM Call Out page and click the Sign Up Now page. Choosing Billing->Payment Method and setting up a credit card. (the non-intuitive part to me) Clicking the "Add Credit" link in the upper right corner of your screen and then going through that process. 4. Switch to your SIP device/phone and configure it with this information (along with the possibly the STUN server found on the config page). Like I said, it's a relatively straightforward process. You naturally have to agree to their Terms of Service whose main point (made repeatedly) can be summarized as "This is not a telephone replacement for emergency purposes." After configuration it worked fine (once I remembered how to configure X-Lite to use the correct microphone and speaker devices) and I made several calls with no problems. I actually wound up calling into today's Squawk Box podcast (where we discussed this AOL Open Voice Program at some length) using the service. It all worked well. AOL is to be commended for their support of open industry standards like SIP! While my initial experience was positive from a user point-of-view, there are to me a few problems. Now, granted, maybe 0.01% of the public out there actually has an interest in direct SIP-to-SIP dialling, but that is the world in which I move... both with Voxeo's platform and also the work I do with the IETF. If we are to ultimately build the massive interconnect that let's us have an IP-only network, we need to have services and devices that let us do direct SIP connections. Given my background, you can't NOT expect me to say something about security, eh? Per the the Open Voice Program page, AOL supports RFC2617 Basic and Digest Authentication and I confirmed with a packet trace that they are, in fact, using Digest authentication. While that isn't incredibly secure (it basically involves a MD5 hash of a password and a server-supplied nonce), it is pretty much what the industry is using right now. Also like most of the industry, they are not encrypting the SIP with TLS and they are not encrypting the voice with SRTP. Just plain old unencrypted SIP and unencrypted RTP. Given that almost no one else in the industry is doing this, I can't exactly fault them. SO WHO IS GOING TO USE THIS? I do like the fact that you can use any SIP device. This is a stark contrast from, say, Skype, which requires either that the device be connected to an always-running PC, have Skype embedded inside of it, or use another software program like iSkoot that essentially proxies your Skype connection. AOL's program lets you use any device you want - and you don't need to be logged in to AIM. So for folks more comfortable with a "hard phone", they can use any of the SIP hard phones out there. How many AIM users are actually using AIM Call Out? Especially when there are competing services from Skype, Yahoo and Microsoft that offer similar rates as well as inbound calling. How many users will actually be able to make use of this? On a different note, it is not entirely clear to me how developers might use this. The AOL blog post from Mark Blomsma in the AOL Developer Network talks about how developers can use this new "API", but I'm still missing... for what? Essentially it seems to me that all you could really do is create an application that uses AIM Call Out for SIP termination to the PSTN - with the AIM account providing the authentication and also billing/charging. Perhaps that will be useful. I'm not sure. Part of the Open Voice program is AIM Call Out. So are we just seeing the beginning of this program? If so, that's not at all clear - from what I read - anywhere on the pages. Overall, it's great to see AOL using SIP and it's great to see them opening up their infrastructure in some small way. I'm not sure I'd call this an "API", exactly, but let's hope that this is just the beginning and that they will do more in the months ahead. We'll see. What do you think about this service? What's in it for developers? Is there value in having access to the AIM credentials for authentication? Or is this ultimately just yet another SIP termination plan? P.S. For those curious, my 55-minute call into Squawk Box today cost $0.94 or about 1.7 cents a minute. Given that we already have Jajah, do we really need nonoh? Tom Keating has more info about the difference between Nonoh and Jajah. Russell Shaw has the details: "Did you ever REALLY think Vonage stock would go below $2 a share?" I've not written here much about Vonage or the many other "consumer VoIP" players. Partly because I guess at the end of the day I just don't find their proposition all that compelling. Partly because the lack of voice security in so many of the consumer VoIP players just really offends me. Partly because I don't see them really as all that "disruptive" because their positioning really seems to be "We are cheaper than the other guys". Yaawwwwwwwn. Note to Vonage and friends: Someone will always be cheaper. We see a lot of threads on VoIP User from people who want to be the next Niklas Zennstrom (and fair enough, we hope you succeed) asking what is required to build a VoIP network. Often these questions are from users who have a basic technical understanding of how it all works, but no real experience of building networks, or telcoms experience with the good old PSTN. 1. if you're a marketing genius, you have a greater chance of success with your new VoIP company than if you are a technical genius. 2. Using the internet to route calls does not mean that everything in the VoIP world runs on Intel *nix. 3. It is going to break at some point. Ensure you have redundancy. 4. The transition from voice 1.0 to voice 2.0 will be managed at the cloud edge. 6. Choose your hosting according to needs of each individual server, not the entire network. A Layer 5 network, such as a SIP network, can be distributed geographically. 7. Don't bet the house on it. Now, there are certainly other costs, as Dean indicates, but the net of it is that it really isn't all that much for someone to get into business. The ease and low cost is bringing a whole host of new entrants... most of whom, on a side note, are not thinking about security as they rush to market (leading to my repeated prediction over on Blue Box that it is only a matter of time until one of them gets hacked). Anyway, it's good info and definitely worth a read.